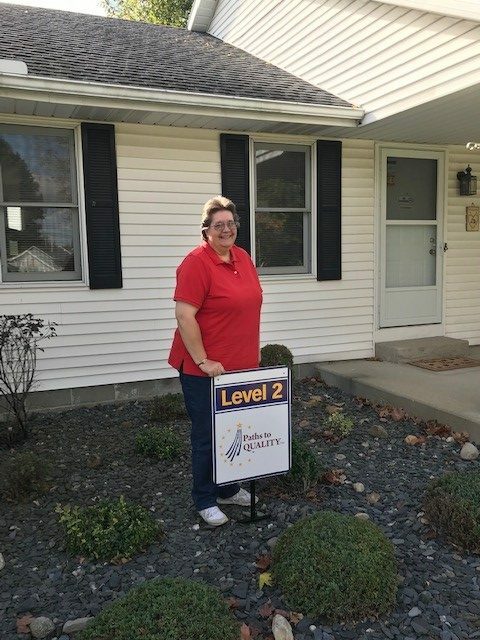 Christine, a licensed home child care provider in Kosciusko county recently moved up to level 2 on Paths to QAULITY. Christine shared with us that her coach has provided leadership to show her how to grow professionally and expand her teaching skills to help the children develop even more. Also, being able to obtain her CDA and continue her education has allow her to take her knowledge to a deeper depth of understanding. Congratulations Christine!